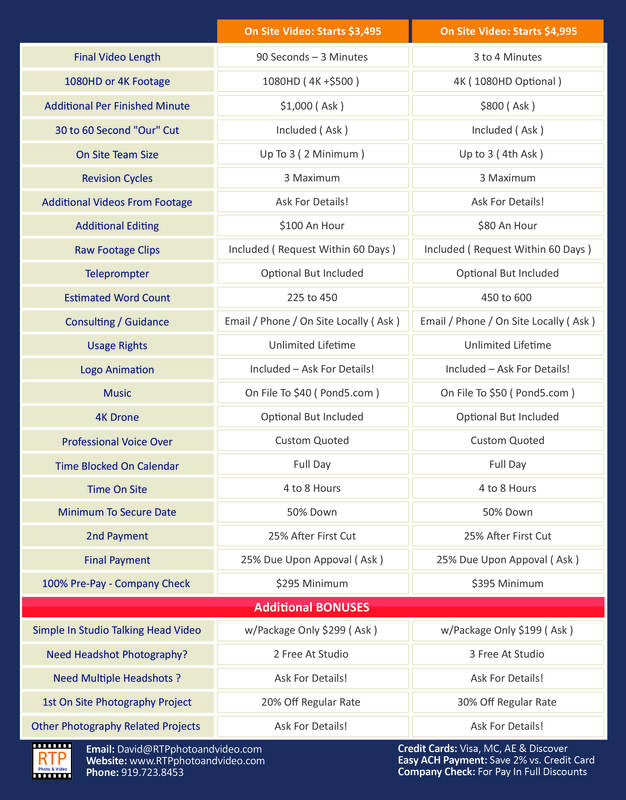 The pricing below does not apply to all video shooting and/or editing. For example, green screen is $1,000 minimum in studio and $1,500 minimum on location as the beginning starting price points. Conference videos are priced differently than below because conferences often require more than one day of shooting. We had one conference video that was shot over 2+ days and the final 3 +/- minute video took 35 hours to complete. There are other scenarios that the pricing below also does not work. 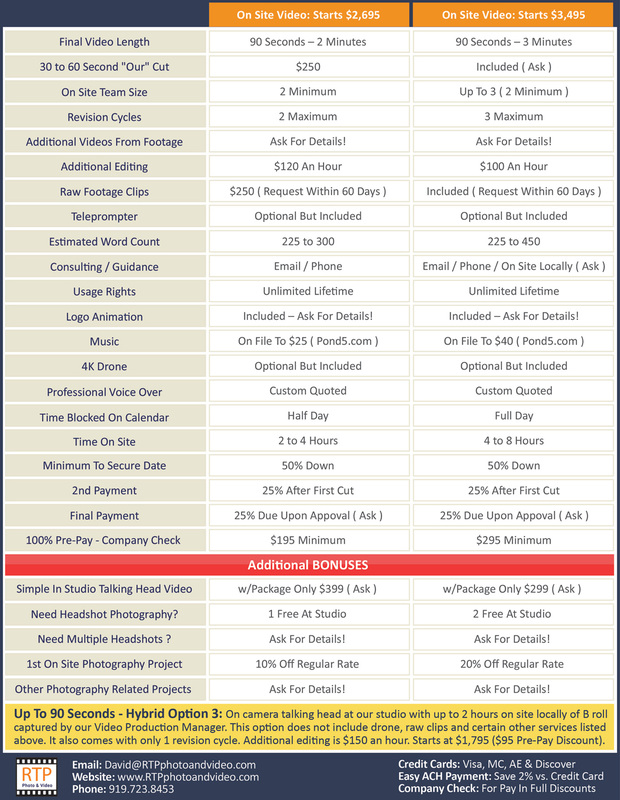 We can custom quote video needs outside of the basic options listed below.